It’s that time of year again. We’re talking about the holiday season. 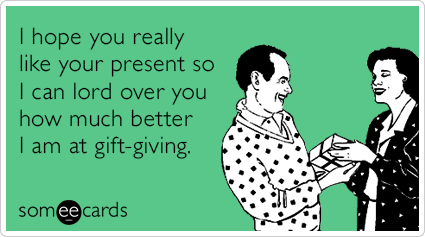 And there’s nothing worse than picking a dud gift. It’s a fate you’ll likely never live down. But, with new phones from Apple and Samsung on retailers’ shelves, we can make your holiday shopping easier. That’s because smartphone accessories are the gift that keeps on giving (power that is). Without much ado, here’s what you should be gifting friends, family, and loved ones this holiday season. Why they’ll want it: Wireless charging is really convenient – just set your phone on the charger and forget about it. Plus, there are no wires to mess with. Why they’ll need it: Most of the new smartphones people will find under the tree feature wireless charging. Lucky for you, wireless chargers aren’t usually included, so gifting one to your pal is a perfect option. The wireless chargepad+. It’s a sleek, 10-watt tabletop charger that is designed to blend into any decor. The wireless chargestand. Available in white or gray, this 15-watt wireless charger holds phones upright, in landscape or in portrait orientation. That means your friend can always keep an eye on their phone, whether it’s to watch movies in bed or catch a quick glance at their phone’s alarm clock. Ventev’s wireless charging car kit. Offering the same power of the wireless chargestand, but for the car. It features a specially-designed mount that clips to a car’s vents, but sits far enough away to allow full air flow – perfect for colder months. Better yet, your on-the-go friend can run power-sapping apps like GPS and music streaming while still charging up their battery. Why they’ll want it: Because they love their phone, and having a dead battery is no fun. Why they’ll need it: Some people are always at risk of running out of battery, and seemingly never able to sit still long enough to plug into a wall outlet. The powercell 6010+. Our most versatile portable battery doubles as a wall charger and includes a connected cable. It’s more than a one, two punch while storing enough power to fully charge most smartphones twice. The chargestand 3000c. It’s a pocket-sized, powerful portable battery that does double duty as a stand, holding phones upright as they charge. Users can watch movies in landscape mode, or have a video call in portrait mode, all while charging. Why they’ll want it: Because they come in cool colors to match just about any phone. Plus, they’re durable and tough so they’ll last a long time. Why they’ll need it: Because cheap cables break, and low quality cables can damage phones. Why put at risk a $1,000 phone with a $5 cable? Invest upfront in a good cable that protects your phone and doesn’t need MacGyvering to work after just a month of use. Chargesync alloy cables. They feature a tough braiding with a metallic look and a brushed aluminum housing with an oversized strain relief. Chargesync flat cables. These tangle-free cables come in a wide variety of colors and are engineered for compatibility with higher output chargers. So there you have it. Gifts that the people in your life will actually want and need. You don’t even need to brave Black Friday to get them.